The latest edition of TMZ Revue (magazine of Tram Museum Zürich) describes the recovery of B2 trailer 644. Trailers 588 to 710 (actually including different design variants) were delivered between 1919 and 1931. They were the first trailers to have traverse (rather than longitudinal) seats. 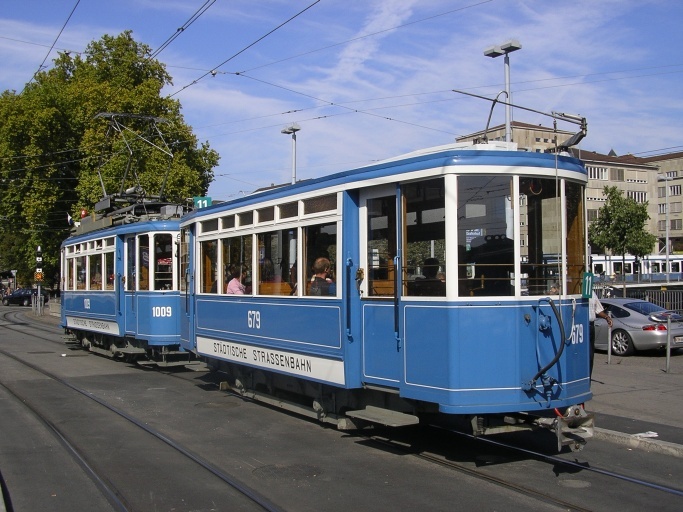 Being the most numerous trailer type ever in Zürich's history, they are well represented in preservation with VBZ having 629, 645 and 679 and TMZ 626 and 687. Following the scrapping of "Goldtimer" trailer 681 in 1994, it was assumed (well, at least by myself) that the fleet had now shrunk to these five survivors. At the time these cars were withdrawn in the 1960s and 1970s, several found further use on children's playgrounds or as summer houses. However, vandals and the elements have done their work and so it is all the more surprising to learn that not only has a unit turned up, but that it is in good condition. 644 survived in a garden in the town of Uster. Owned by a tram enthusiast who purchased it in 1972, it's good condition is partly thanks to the protective roof. Although largely in original condition on the extrerior, the interior has been modified. The original owner's son offered the car to the tram museum, who moved it to Birr to the custody of a youth workshop. It will at a later point return to Zürich, although its future use is not yet clear. The saving of this car may represent a certain softening of the museum's collection policy. As recently as 2011, car 1016 (of similar vintage) was allowed to go for scrap under the justification that four similar cars survive.